Some of the group members at one of their gardens. It was a gamble, but members of Ibyiringiro Kanyinya Co-operative society are grateful they took the risk. The co-operative, whose members grow mushrooms at Nyamweru cell, Kanyinya Sector in Gasabo District, were previously vending foodstuff at Yanze near the Nyabugogo bus terminal. 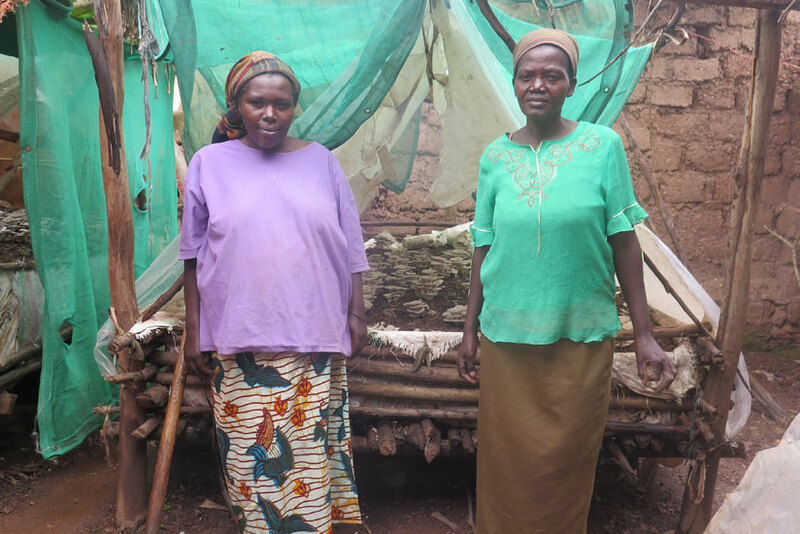 The group switched to mushroom growing after it secured funding from Oxfam through Duterimbere Microfinance Bank in 2009, according to Léocadie Mukantarambirwa, the co-operative co-ordinator.